Floating is about doing absolutely nothing, and loving it. Come to our float spa at Ebb & Float to get off the grid, even if it's just for an hour. Floating does your mind, body and spirit good — take a break with us. You will float effortlessly in heated water with a high concentration of salt (it's just science, but it feels magical). Lay back to let your body be removed from gravity and relax your mind. Get in a monthly floatation for just $59 with our Club Salt Membership. Save $5 on a monthly sauna session. Book with your flaot for extra zen vibes. Forget to use your float? No worries. You get to keep all of your unused floats! Use them, share them, or let them keep adding up. Our ultra-modern wave cabins are built like a room, just open the door and step into a serene float experience. So, catch a wave. Our open pool is... well, open. High ceilings above and warm, salty water below. Great for first-timers. Get in touch with your elemental side. The Urth has everything you're looking for in a float session and is the go-to tank for all levels of floaters. The Explorer is a favorite for both experienced and newbie floaters. Explore a world of potential. Many natural approaches to promoting healing only focus on one aspect of a person. What if experiencing complete relaxation only required you to float peacefully and comfortably in warm water for an hour? At Ebb & Float, we bring unique natural healing to the greater Columbus community. Our friendly staff will help you find the right float tank style for your needs. We help balance your mind, body, and spirit, and find peace and rejuvenation. Float therapy is a way to deeply relax in a way that blocks out all of modern life’s distractions, allowing your mind and muscles to release all their tension, so you can breathe easier and settle into a deep state of peace and calm. Contact us today and schedule your float therapy session, and discover how relaxation can benefit your body and mind. Floatation tanks have been used since the 1950s. 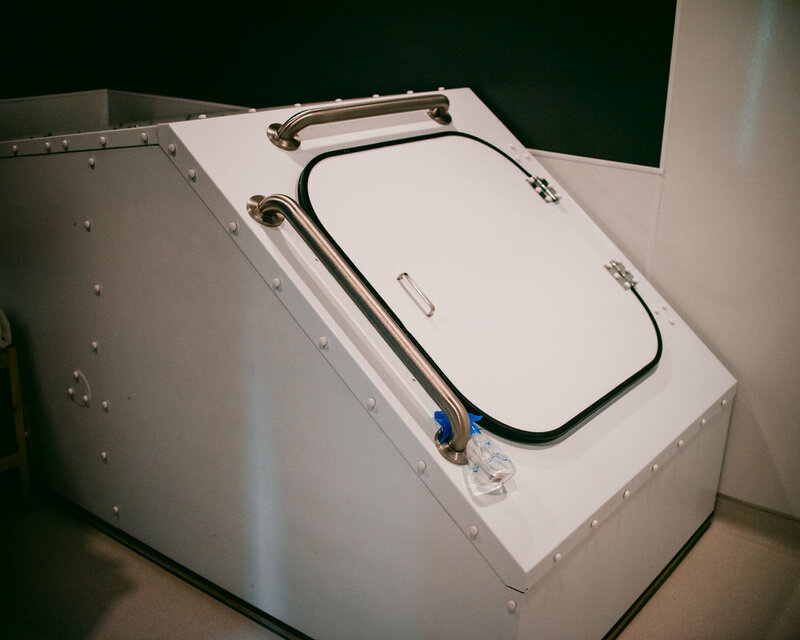 Although isolation tanks saw renewed popularity during the 1980s, they’ve only recently been the preferred way to unwind in the past few years. They’re known throughout the world as an effective way of relieving stress. By bringing floatation technology to our community, we’re helping more people discover a deeper level of stress relief and healing. While the process may not be new, most people haven’t had the opportunity to experience how peaceful they can feel through floating. Float tanks are a safe, reliable way of letting go of stress and tension. The water in each tank is filtered several times between sessions, making it clean and sanitary. Several pounds of Epsom salts is dissolved in the water, which help you float effortlessly in the still, warm water. The water gets heated to body temperature, creating an immersive, spacious feeling. It’s often hard to tell you’re floating in water at all because the temperature matches your skin. It’s a uniquely deep meditative experience. Most clients report that they don’t want to get out when their session is over. Whether you prefer our open pool style, the relaxing Mandala Open Pool, or the traditional enclosed tanks, we can find the ideal choice for your needs. Our experienced staff will help you decide on the float style that’s perfect for you. Your complete comfort and relaxation are our highest priority. Contact us to discover your options and help you relax today. Floating takes pressure off of muscles and joints and helps soothe you into a state of complete relaxation. Whether your body or your mind is keeping you exhausted and stressed, floating helps you wash it all away. When you need relief from your hectic life, choose Ebb & Float for float therapy.